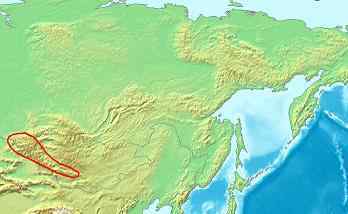 The Altay Mountains are four-corners border of Mongolia, China, Kazakstan, and Russia. The climate will be temperate, much what it enjoys today. As with Mongolia Volcanic ash will not sweep the area, which will enjoy clean air. Mountain building will not occur, nor has it for many eons, as this mountain range is far enough from the Himalayas and is participating somewhat in the stretch that the Eurasian Plate will sustain. Thus, the deep lakes of eastern Russia and Kazakstan.